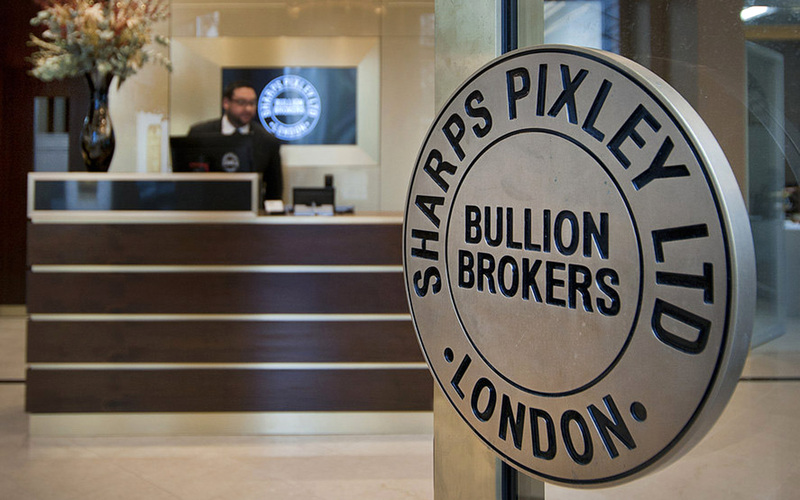 The business of selling physical bullion may been based on old-fashioned trust and discretion, but the new Sharps Pixley Showroom comes with an very modern perspective and an exclusive and high valuable store design into the heart of London (St James´s Street close to Piccadilly and Buckingham Palace). 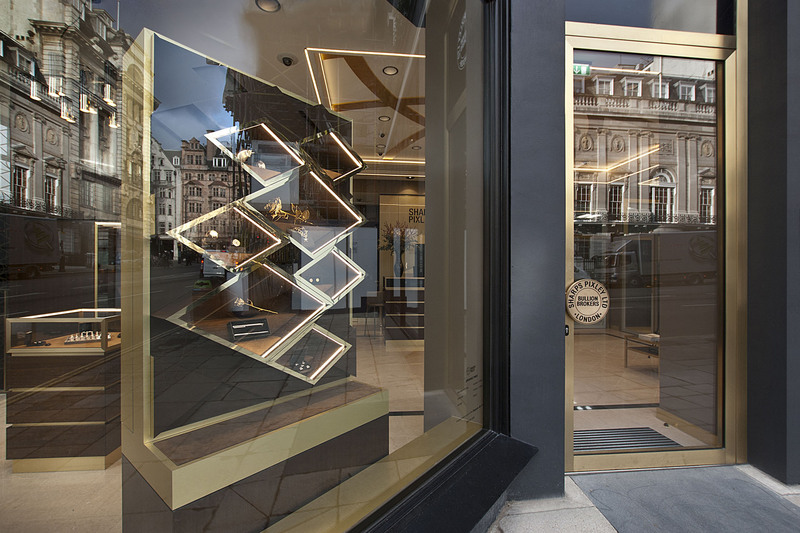 Attracted by the shop windows the client enters a noble and specific Retail World, where he can find in golden framed vitrines, an excellent and well-spaced exhibition of precious metal bars, coins, rare collector´s items, special collections, limited pieces and high caratage gift items. The store location has two levels. 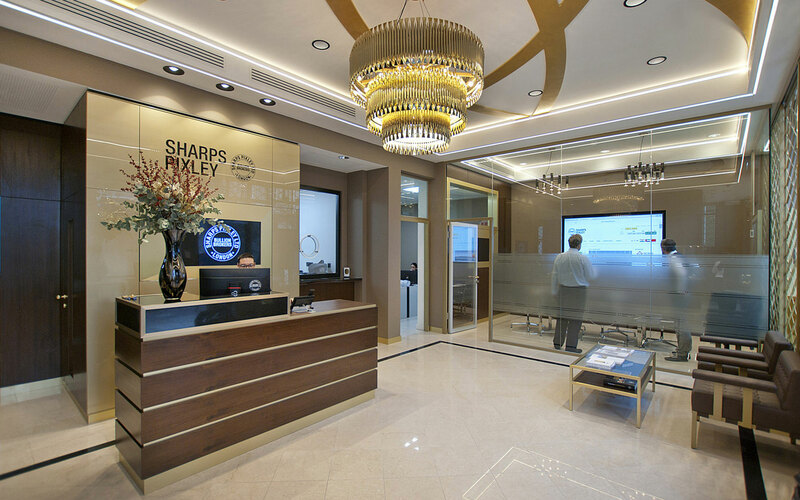 In the ground floor is the attractive sales area with the exclusive exhibition of the golden items as well as the counters, the offices, a premium meeting room and a separate room for purchasing antique gold. Downstairs are two strong rooms for several private boxes, where the customers can store their gold or other valuable items. Every section in the store has an very high and advanced standard of security. The aspiration was very high in all the details. 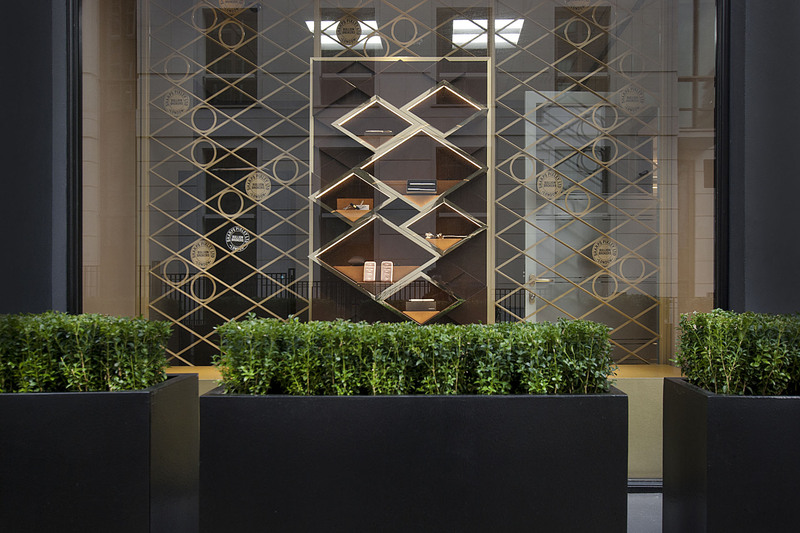 The special challange in designing and realising this Store was the combination of an high security standard, a high density of areas with different functional issues and the goal to generate an upmarket interior design. 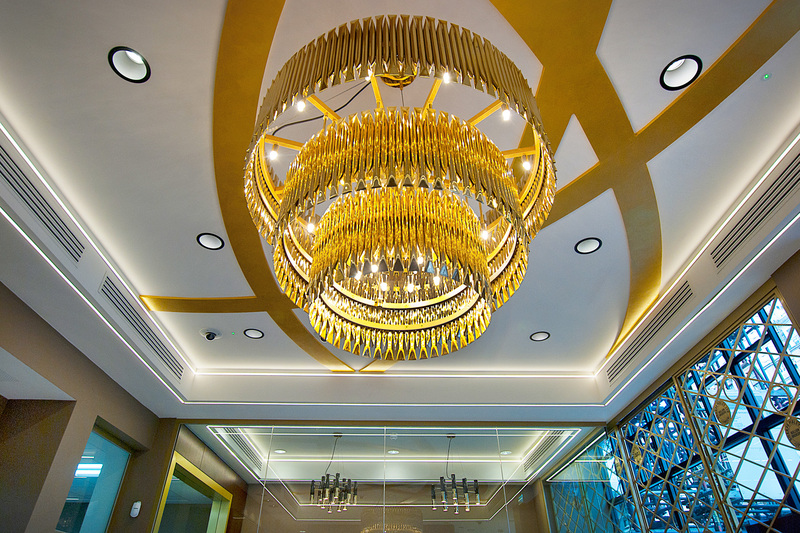 Within a mix of classical forms, high-class materials and up-to-date design elements the architectural design describes the range of the consumers. 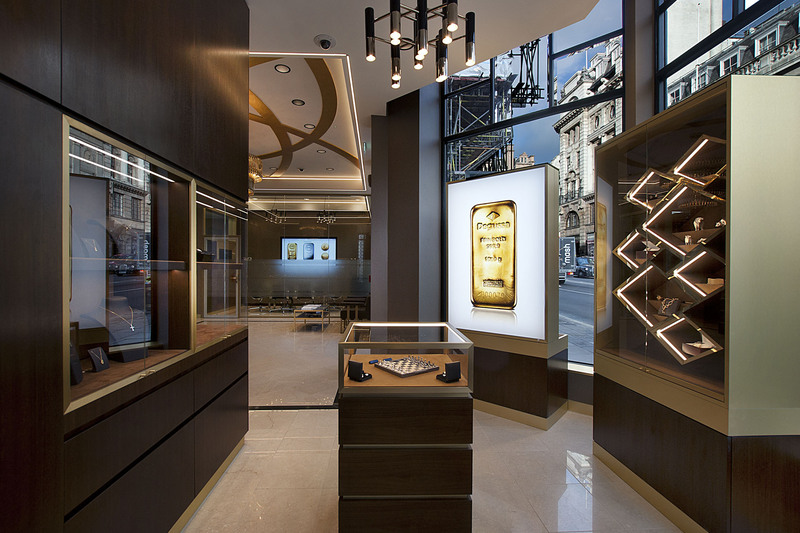 The ambition of the design was to create a specific and beautiful world for purchasing gold, far away from this factual atmosphere of a typical bank. 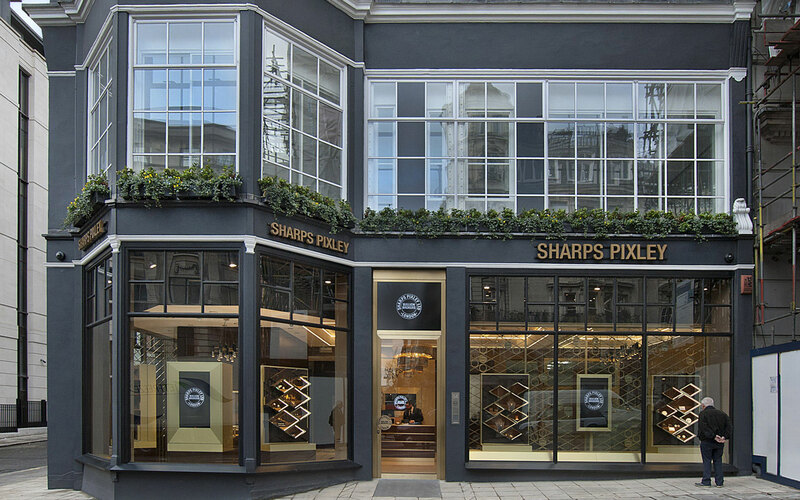 With the branch office of Sharps Pixley in London we created a novelty in the market. 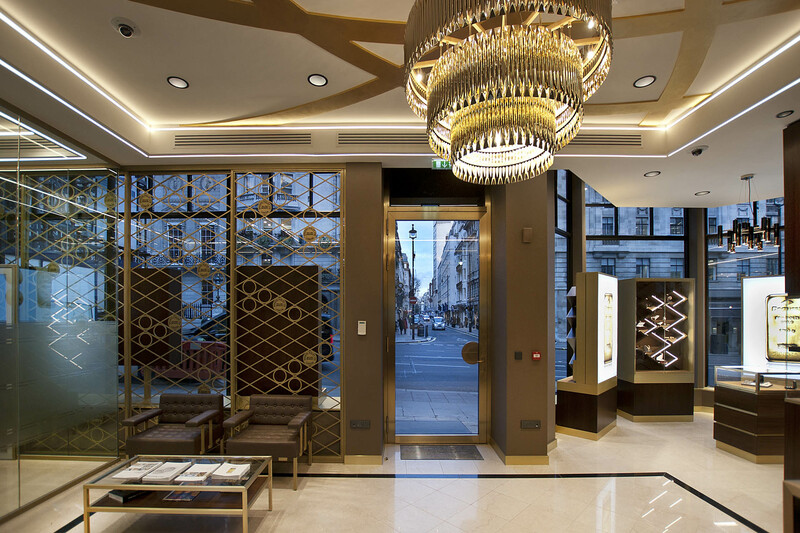 The holistic interior design, with wall panelling of delicate nut wood vaneer, frames made out of solid brass, floors coverings of Botticino and granite, tailor-made leather furnitures, elaborate golden covered walls and selected chandeliers will stage an extraordinary shopping experience. The Brand Values, like quality and consistency, will be threedimensional manifested, within high-quality materials, transition-free workmanship of wall panelling and furniture installations, iconic usage of the brand logo and a timeless classic design vocabulary. 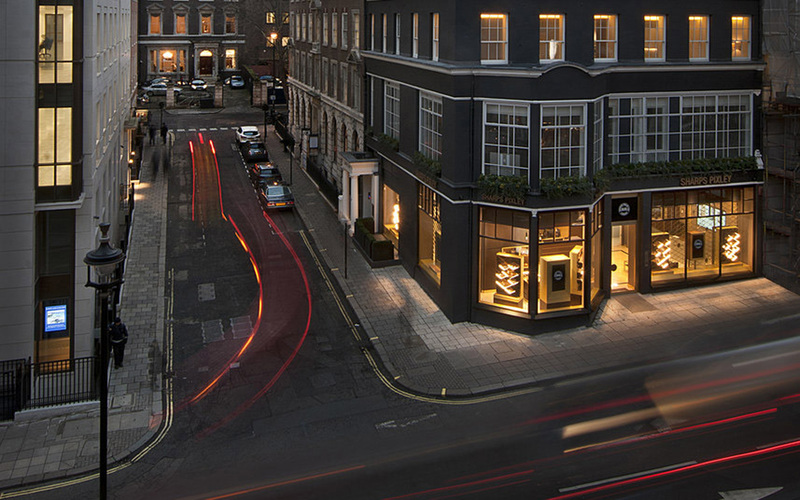 The high-end realisation of the ambience will give the purchase of precious metal items an suitable surrounding and every client the feeling of pure exclusivity.